A great fight sequence with hard slamming thuds from the two heavyweights. This is the only part of the film that has believably raw emotion. 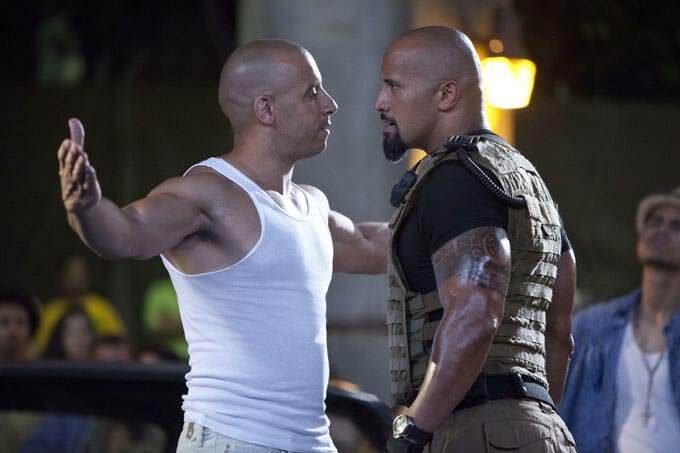 We are also treat to some vintage wrestling moves from The Rock. To top it all off the end result is suspenseful. 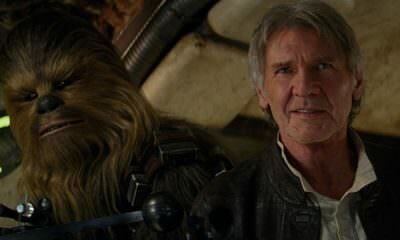 This is a duel that every Star Wars fanatic wanted to see and it surely lived up to the hype. 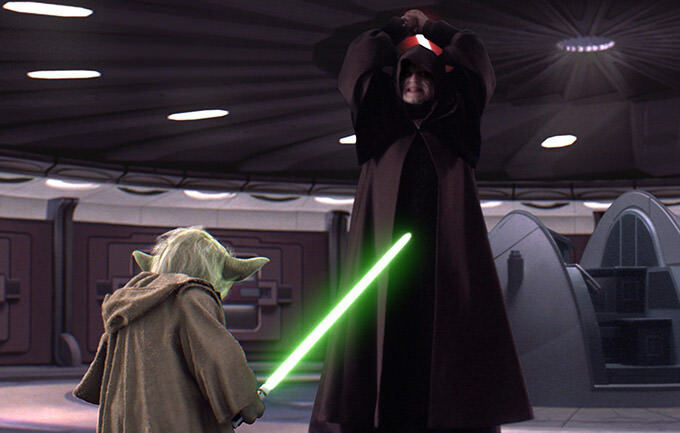 CGI and lightsabers created a great display of powers from the Jedi master and Sith Lord. 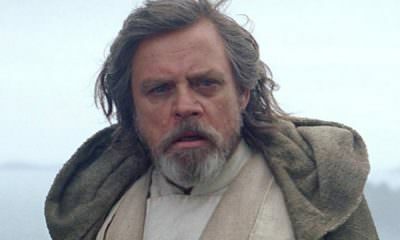 Most viewers found it hard seeing out little green friend defeated. 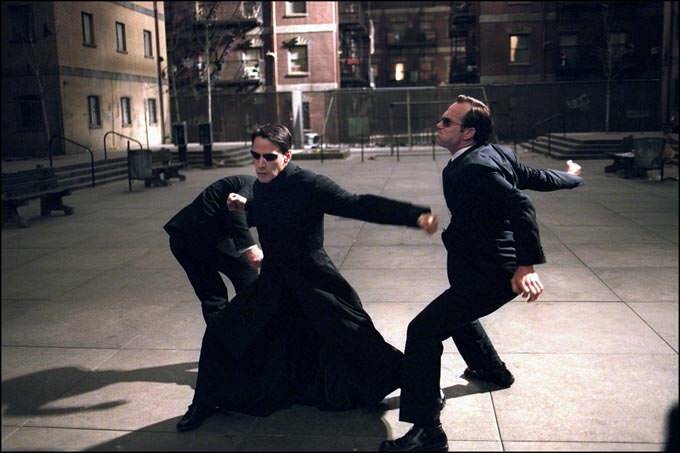 As original as ever – The Matrix was a ground breaking film with plenty of rib breaking punches such as those delivered by Agent Smith. The moment Neo decides to stop and fight gives goose-bumps to the audience and the gravity defying martial arts are insanely addictive to watch! Arnie fit the role perfectly of the Terminator, equally as a bad guy and a good guy. 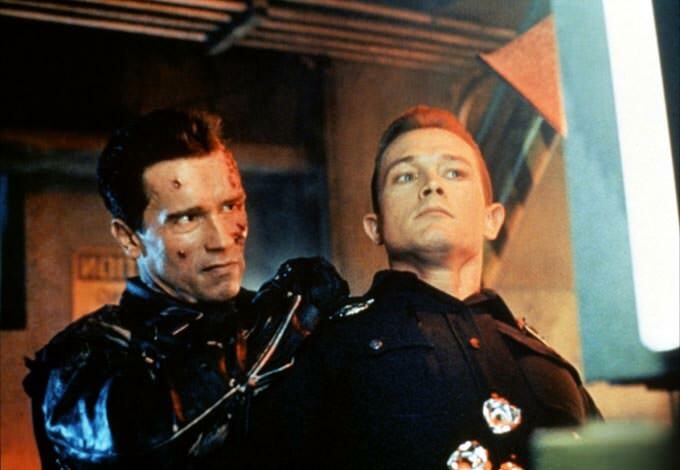 The face-off in the steel mill toward the end of T2 lets us witness Arnie get obliterated by the T1000 and ripped apart. Nothing stops him in his relentless quest to protect John Connor. With his face crushed and arm ripped off the Terminator still manages to blast the t1000 into the furnace to seize the day. EPIC! 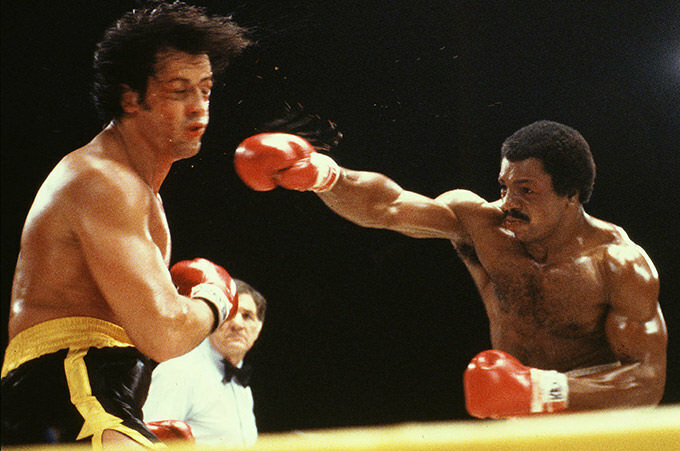 Rocky gained everybody’s respect in the first outing and with Apollo Creed becoming less likeable as the film went on, nothing beats seeing Rocky be crowned champion in this epic sequel. 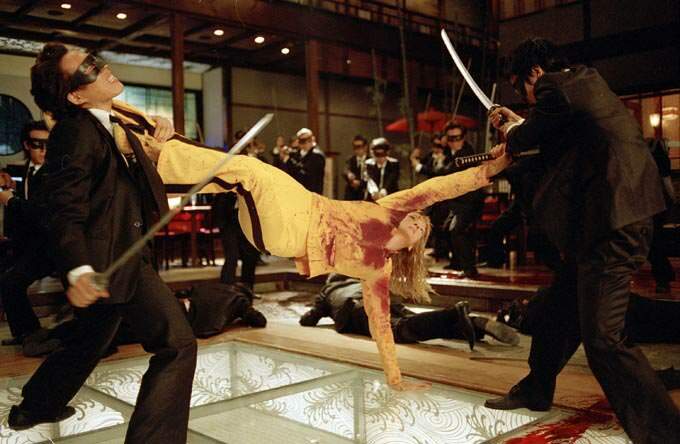 Blood and gore work in perfect harmony with Quentin Tarantino. The swashbuckling is astounding although not for the faint hearted! Want to know a cool factoid? 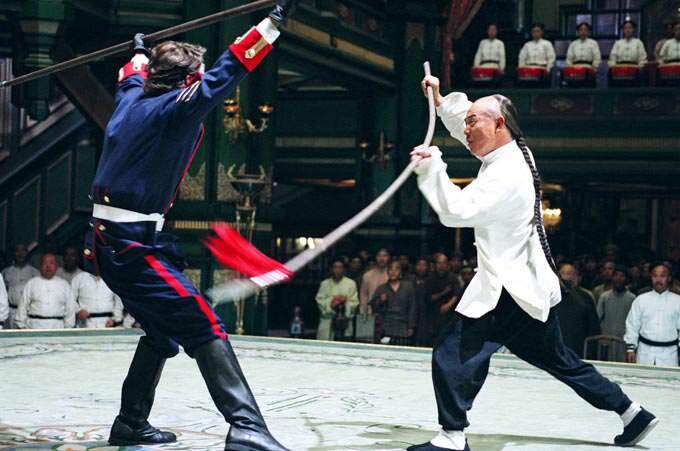 The leader of the Crazy 88 is played by the same actor (Gordon Liu) who portrays Kung Fu Master Pai Mei in the film series. Photo credit: Beijing Film Studio. Every fight in this film displays Jet Li in his prime. Jet has honed martial arts into an innovative structure and his resourceful fighting in any scenario puts Jackie Chan’s ‘anything is a weapon’ strategy to shame. Graceful yet deadly to watch. Let’s go back to a classic of last summer – The Dark Knight Rises. 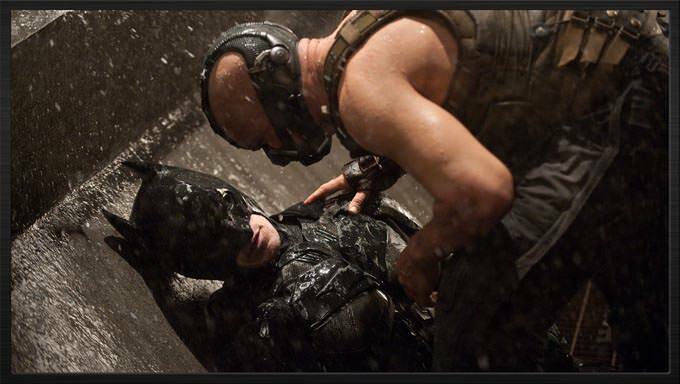 The first moment where Batman and Bane meet is intense. Trapped and unsure, Batman has no choice but to stand and fight. It is shocking to see the Dark Knight so out classed by the brute force that is Bane. 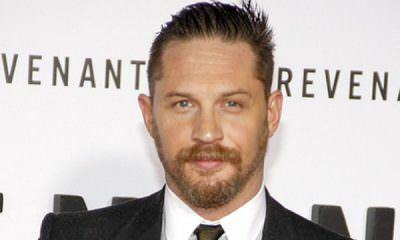 Not one punch deals any damage to his nemesis, fans were in shock to see Bane deliver a back breaking finale to the caped crusader. Photo credit: Golden Harvest Company. Two real life friends and two of the greatest martial artists of all time. What more could the viewer want for on-screen chemistry? 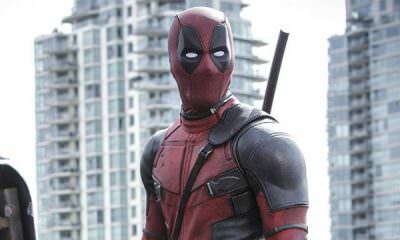 This fight offers more Kung Pow than any Kung Fu panda ever will! 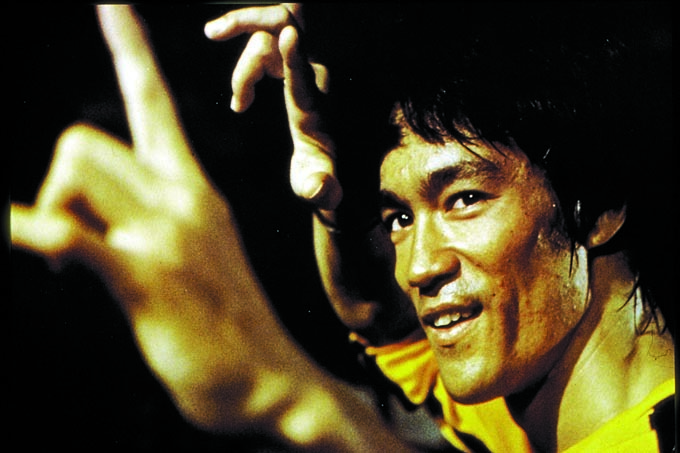 Chuck Norris once said in an interview that Bruce Lee asked him to gain 20lbs to look more formidable in the role of his opponent. 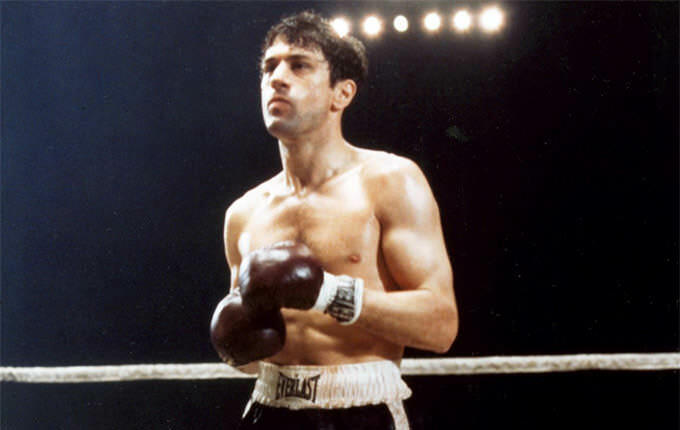 Raging Bull offers a great script and dialogue – Robert De Niro refuses to give up and his face is beaten to a bloody pulp. Relentless aggression keeps him alive and at the end of the bout famously says “You never got me down Ray! You never got me down.” A boxing classic. The Raid: Redemption should have 8 of these ten slots. those were some really good fight scenes for sure.